Following a lengthy illness, Thomas Richardson Green of Wapske, NB, passed away peacefully at Hotel Dieu St. Joseph Hospital on the evening of February 7, 2019. Tom was born in Plaster Rock, NB, on December 19, 1957. He was the son of Elizabeth "Betty" Green (Crawford) and the late Clair Green. Besides his mother, who lives in Wapske, NB, Tom leaves behind his daughter, Kara Geneau (Brad) of Plaster Rock, NB; his son, Brendan Green (Joanna) of Brantford, ON; his granddaughter, Alison Geneau; his sister, Kelly Bucci (John) of Plaster Rock, NB; brothers Derrick Green (Kim) of Wapske, NB, Gary Green (Lorie) of Riley Brook, NB, and Michael Green (Donna) of Miramichi, NB; along with several nieces and nephews. 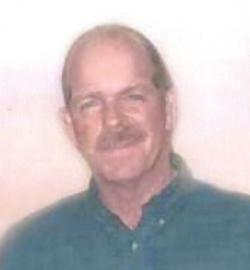 Tom was predeceased by his father, Clair, and his brother, Kendall Green. Tom obtained his B.E.D. in 1979 and his Masters of Education degree in October of 1997 at UNB in Fredericton. He taught school at Donald Fraser Memorial School in Plaster Rock and Fall Pines School in Brampton, Ontario. Tom was very involved in music and the Anglican Church. If you needed an organist or a soloist you could depend on Tom. Respecting Tom's wishes, there will be no visitation or funeral held. A graveside service will be held at a later date at the Plaster Rock Community Cemetery. For those who wish, memorial donations to the Mamma Bear Cancer Fund or to a charity of your choice would be appreciated by the family. Arrangements have been entrusted to Brunswick Funeral Home, Perth-Andover and Plaster Rock. Mamma Bear Cancer Fund or a charity or the donor's choice.